Jefferson County Pet Food Pantry : Get Your FEMALE Cat Fixed For $25! Get Your FEMALE Cat Fixed For $25! 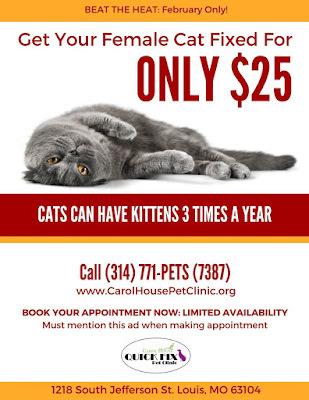 Our friends at Carol House Quick Fix Pet Clinic are running another AMAZING special! 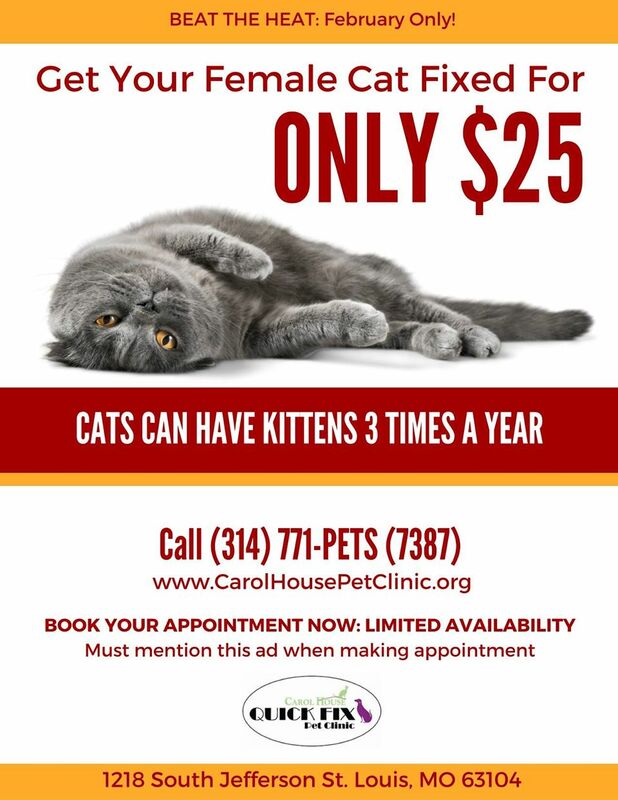 Get your FEMALE cat fixed for $25 during the month of February! No income or residential restrictions. Appointments fill up FAST, make your appointment ASAP and SHARE with everyone. NO EXCUSES!